Barnsley Hospice are using Medical Interoperability Gateway (MIG) to access GP information about patients admitted to their service. Barnsley Hospice is a charity, which provides specialist, compassionate care to hundreds of local people every year from all over Barnsley. They have a multidisciplinary team of doctors, nurses, pharmacists, social services, physiotherapists and occupational therapists who provide tailored care for individuals who are approaching end of life. The team deliver care plans, which meet the individual needs for pain management and symptom control. This means they need to be aware of the shifting needs and preferences of the individual. The hospice wanted to make sure staff had access to the most up to date information about patients admitted to their service and have been using the MIG to provide real time views of the GP record. The hospice went live with the MIG in 2016 as part of a regional roll out funded by Barnsley Clinical Commissioning Group. They can access the Detailed Care Record service through the South West Yorkshire Partnership Foundation Trust electronic patient record system and enabled Shared Record Viewer (SRV) earlier this year. SRV provides the hospice with ten categories of patient information, which includes medication (current, past and issues), risks and warnings, procedures, investigations, encounters, admissions and referrals. “It’s important that the team have the information they need to provide effective care, which meets the needs and preferences of the individual. Implementation of the MIG was straightforward and it provides us with instant access to crucial GP data at the point of care.” Julie Stead, Technology Manager, Barnsley Hospice. Having instant access to the GP record, particularly the medication history, has helped the hospice to reduce the volume of phone calls and faxes to the GP practice when admitting patients. 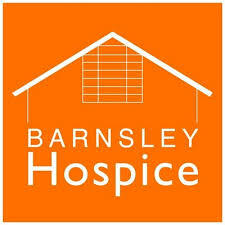 Barnsley Hospice Inpatient Unit is open 24 hours a day, 52 weeks a year. This means they need access to crucial patient information outside of GP practice opening hours. The MIG provides staff with 24/7 access to GP records, which ensures they can effectively manage patient admissions at any time of the day. The MIG offers a wide range of specialist data, which could support Barnsley Hospice in the future. This includes our Electronic Palliative Care Coordination systems (EPaCCs) Dataset, which enables effective coordination of an individual’s end of life care plan. We’re also developing a social care dataset, which will be available in 2019. This Dataset will provide hospices with the ability to view patient information recorded by social care providers.